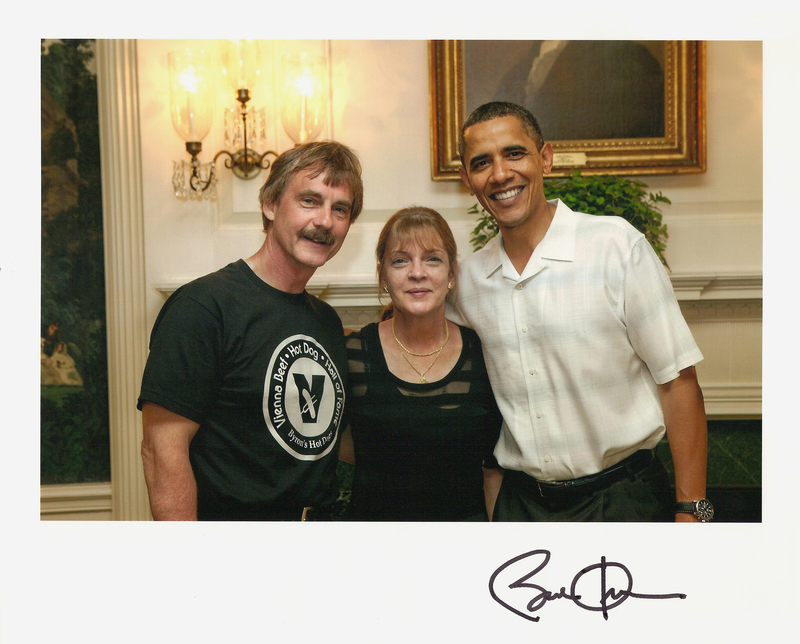 Did you know the owners of a Chicago legend, Byron’s Hot Dogs, were invited to serve their fare to the President and First Lady at the White House? Yep. Theirs was one of only four restaurants chosen to participate in a picnic-on-the-lawn back in 2011. Byron’s represented the entire Midwest. You go, Chicago Byron’s! 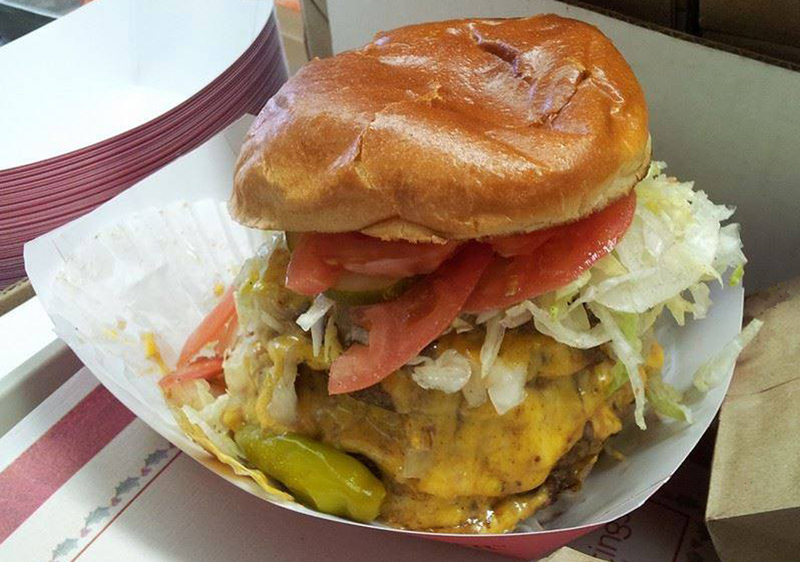 The picture is of the Lord Byron burger – a quadruple burger with cheese on every patty. Mustard, relish, onion, lettuce, cucumber, green pepper, tomato, pickle and celery salt. Hot peppers on request. Owner Mike Payne said this was the burger featured on Chicago’s Best television show on Channel 9 – where they asked him to eat one on screen. He couldn’t finish it. Mike said they sell a surprising number of these giant concoctions. Are you up for one? Byron’s also offers normal-sized dogs, burgers and a pretty tasty veggie burger, all with fresh veggies to your taste. Good fries, too. Two locations: 1701 W. Lawrence – the bigger store with lots of indoor seating, and 1017 W. Irving Park – limited stool seating plus an outdoor space that’s heated in winter. Order ahead online.